Full Golf Members enjoy all of The Bayou Club's first-class amenities including championship golf on our private Tom Fazio Signature course, tour-quality practice facilities with unlimited range balls, 16 Har-Tru clay and hard tennis courts, 24-hour fitness center, 2 swimming pools, beautiful clubhouse, dining and a full year-round social calendar with events and activities for the entire family as well as business associates and friends. 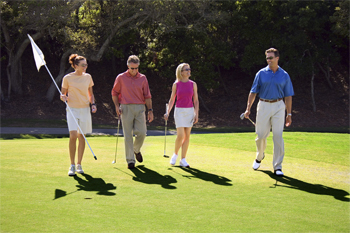 Intermediate Golf Members enjoy all of the same member benefits as Full Golf Members. Young Professional Golf Members enjoy all of the same member benefits as Full Golf Members. Social-Sport Members enjoy The Bayou Club's first-class amenities including 16 Har-Tru clay and hard tennis courts, 24-hour fitness center, 2 swimming pools, beautiful clubhouse, dining and a full year-round social calendar with events and activities for the entire family as well as business associates and friends. Social-Sport Members have access to tour-quality practice facilities and limited golfing privileges of 6 times annually, with payment of applicable cart and green fees (restrictions apply). Social-Tennis Members enjoy The Bayou Club's first-class amenities including 16 Har-Tru clay and hard tennis courts, 2 swimming pools, beautiful clubhouse, dining and a full year-round social calendar with events and activities for the entire family as well as business associates and friends. 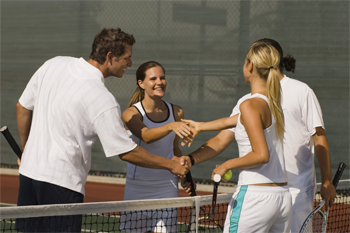 Social-Tennis Members have access to tour-quality practice facilities and limited golfing privileges of 6 times annually, with payment of applicable cart and green fees (restrictions apply). Social-Fitness Members enjoy The Bayou Club's first-class amenities including the 24-hour fitness center, 2 swimming pools, beautiful clubhouse, dining and a full year-round social calendar with events and activities for the entire family as well as business associates and friends. Social-Fitness Members have access to tour-quality practice facilities and limited golfing and tennis privileges of 6 times annually, with payment of applicable cart and green fees or court fees (restrictions apply). 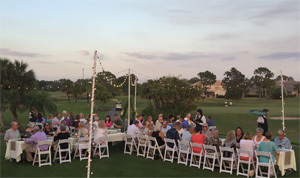 Social Members enjoy The Bayou Club's first-class amenities including the beautiful clubhouse, 2 swimming pools, dining and a full year-round social calendar with events and activities for the entire family as well as business associates and friends. Social Members have access to tour-quality practice facilities and limited golfing and tennis privileges of 6 times annually, with payment of applicable cart and green fees or court fees (restrictions apply).